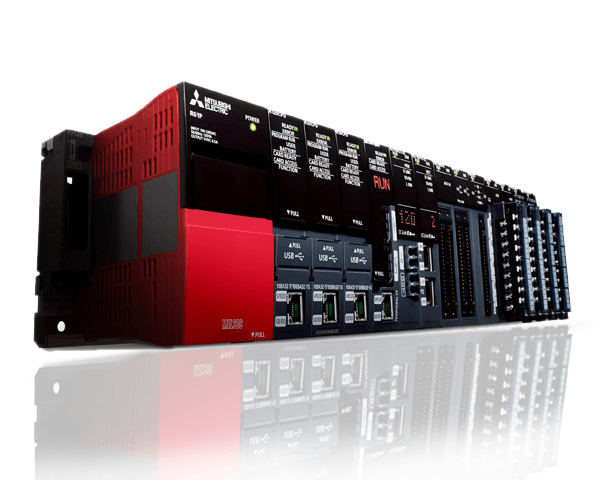 Integrating high-performance capabilities based on the high-end iQ-R system bus, high-speed network, and advanced motion control system; applications requiring these characteristics can be easily realized using the MELSEC iQ-R Series as the core of the automation system. A manufacturing plant is seldom stopped or taken offline and continuously produces the desired product or component. However, the control system occasionally requires maintenance; for example, at the time of a faulty product or system upgrade for manufacturing a new or updated component. At that time, thanks to the extensive maintenance functions embedded in the hardware and software, the user can trust the control system to handle the transition into/out of the maintenance period for both preventive and post maintenance. The MELSEC iQ-R Series is based on two fundamental aspects of quality. These two characteristics are part of the main principle behind the MELSEC iQ-R Series. This new control system includes various features designed-in to provide a solution that not only improves the overall manufacturing productivity but also maintains a high level of industrial quality that is ideal for the hard and rugged environments that it is subjected to on a daily basis. 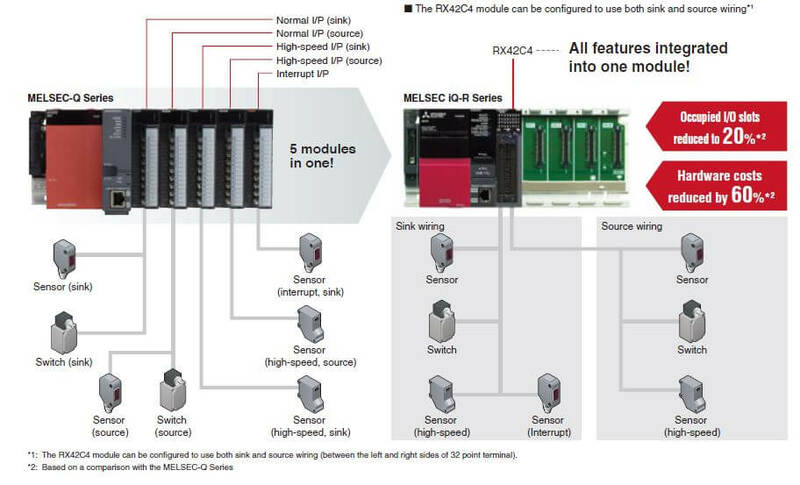 The MELSEC iQ-R Series is part of a family of products all interconnected across various levels of automation. Based on the seamless message protocol (SLMP*1), data flows transparently between the sensor level and the management level across multiple industry-standard automation networks. 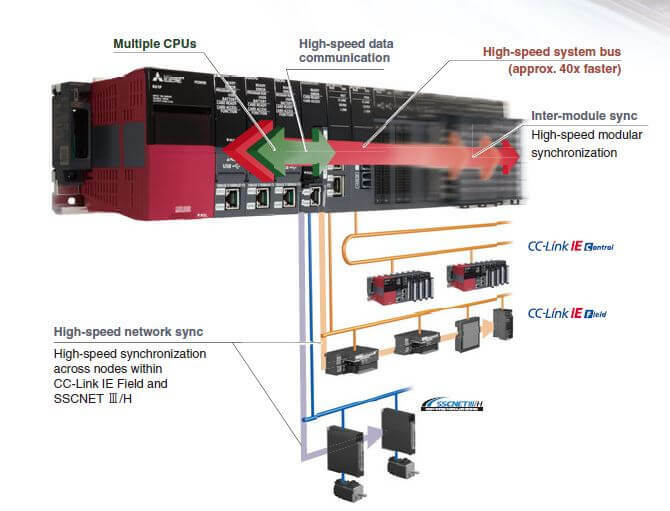 CC-Link IE, Asia’s No 1 industrial network, realizes fast gigabit data transmission speeds, further optimizing the manufacturing cycle, In addition, the SSCNET III/H high-speed motion control network further enhance the factory-wide connectivity solution. In parallel to this, production data is visible from the shop floor directly into MES database servers via the MES interface. As technology becomes more complex and the distribution of manufacturing systems more global, the protection of intellectual property is even more significant. When shipping a finished product overseas, the last thing an OEM needs to consider is the unauthorized copying or changing of the original project data. In addition to this, unauthorized access to the control system can have very serious implications to the control system and the end user, which can compromise the overall safety of the plant. The MELSEC iQ-R Series has a number of embedded features that help to maintain these requirements, such as hardware and software keys to protect intellectual property, and multi-level user access password hierarchy to protect the project at the design stage. Whenever introducing a new system or technology into an existing manufacturing plant or control system, utilization of existing asses as much as feasibly possible is a mandatory requirement for today’s manufacturing needs. The MELSEC iQ-R Series addresses these subtle but substantial needs with various system hardware support and engineering project compatibility to achieve an easy path to higher technology and improved performance capabilities.